The Pavilion or Gable conservatory is a popular choice at Conservatory Designs, we have a nice 12ft by 12ft on display which is greatly admired. We generally create a higher pitch on the roof where space allows to create a fantastic airy feel to the room with a great sense of space and is often used for small gardens to create a greater sense of space. 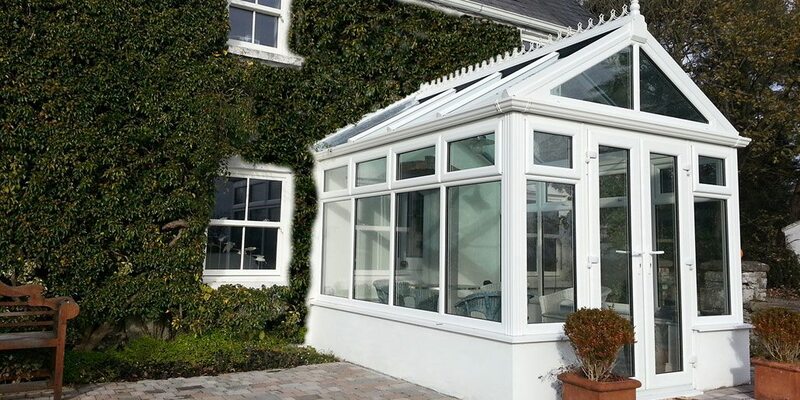 The beauty of the pavilion range is the tall shaped glazed facade to the front of the conservatory. This lets a huge amount of light back into the rooms inside the home. The side glazing used is energy efficient glazing which is more than twice as effective as normal double glazing and ensures your Pavilion conservatory is warm in all seasons. The Pavilion is a naturally bright room due to its tall Pavilion front it is therefore very popular with those who enjoy the light and the sun. 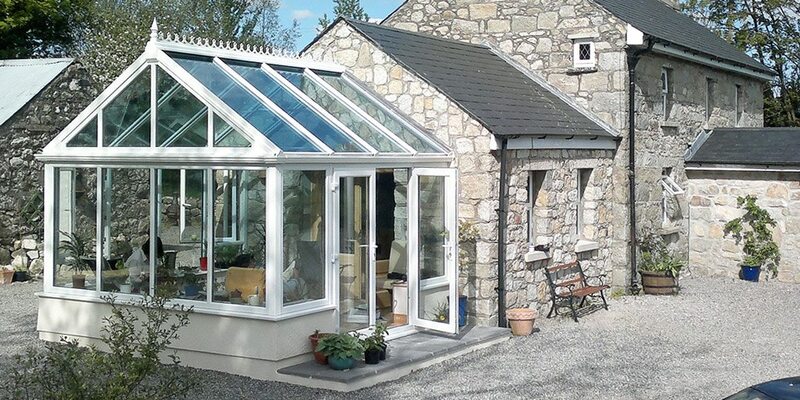 Our most popular option for this conservatory is our Pilkington Activ Blue energy glass. This will keep your room warm throughout the year and create a beautiful ambiance in all weather. We have a Pavilion conservatory at our showrooms with this glass on display. We also offer a range of polycarbonate glazing options to reduce glare and heat, these options are available with a tint to the outside or a white opal finish to both sides for more light. The Pavilion conservatory is available as standard in white with all the other coloured foils available as optional extras.